[dropcap]M[/dropcap]icromax, a company that has always been slapped by geeks for using cheap and low-end hardware even for its best smartphones, has finally moved to Qualcomm Snapdragon 200 processor, for it’s all new Windows Phone 8.1 device. As promised at Build 2014, Micromax joined hands with some new manufacturers as a OEM partners to make Windows Phone 8.1 devices, this is the first launch in India. 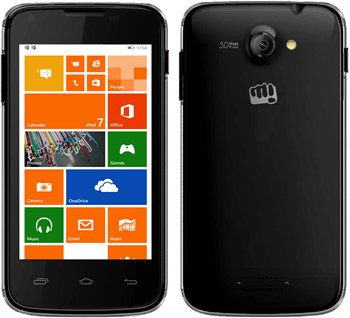 We can expect some competitive pricing and specifications for WP devices by companies like Karbonn and XOLO, but Micromax will surely enjoy the advantage of being the first OEM in India to launch the devices. As I’ve said, the Snapdragon 200 with 1GB RAM in these phones are the best thing ever, considering their prices and you can enjoy some cutting edge performance from the Windows Phone with those specs. Both of these devices comes in under Rs.10,000 price tag and will surely give a tough competition to the Android smartphones in their price range. The first two devices launched by Micromax are being named as Micromax Canvas Win W092 & Micromax Canvas Win W121. This going to be the tough competitor for best-selling budget performer which is still going on and off the stock from popular online retailer website – Flipkart! With just 0.3 inch smaller in screen size, Canvas Win W092 has perfectly same specifications offered tat Rs.400 less price! This Windows Phone device comes with all the perks you can expect from a sub-15K device but with Rs.5000 less! 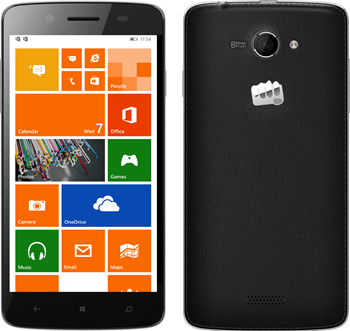 With the stability of Windows Phone 8.1 operating system, Win 121 can prove to be a true winner for Micromax’s device portfolio. Both these smartphones are said to be available from July 2014 in all retail stores across India. 10 Years of TomTom GO And 13 Million Marriages Saved! Free Download Charlie Murder & Super Street Fighter IV: Xbox 360 Games With Gold! GearBest Announced Deals On Smart Watches Till July 31st! Samsung Focus S 1937 Review – Nice Windows Phone 7 Device !